you order from us ? 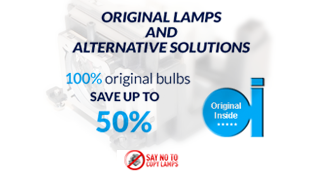 Subscribe to Easylamps loyalty program ! 100% FREE, YOU'LL WIN GIFTS TO GRANT YOU FOR YOUR COLLABORATION WITH US ! To subscribe, go directly on your purchasing account HERE . You will automatically win loyalty points for every order. Thanks to these points, you will access different bonus scales. Those advantages can be combined with ongoing promotions. Your points are valid for 1 year maximum and you can transform them whenever you want, from your second purchase.